A few weeks ago we went on vacation – a nice 10 hour drive to the beach – and to prep I made up some snacks to take for the road trip. 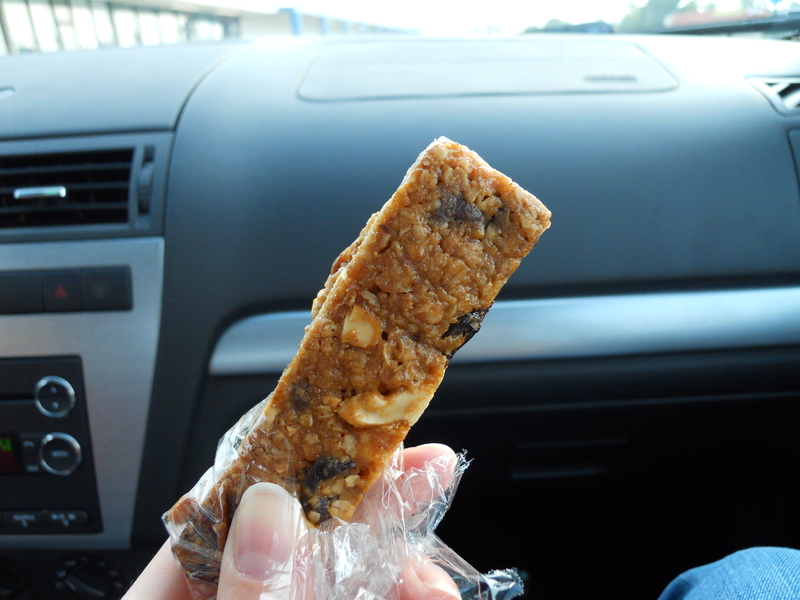 Granola bars are something we typically buy for on-the-go snacks so I thought they’d be a great thing to try to make. These were great – soft and chewy but not falling apart at all. We really enjoyed munching them all week. The recipe is also really versatile – you can mix in any fruit and nut combo you can dream up. I’m already thinking about what flavors to try next time I make these! Preheat the oven to 350°F. Line an 8″ x 8″ x 2″ pan with parchment and spray with nonstick spray. Over low heat melt the butter. Stir in the peanut butter until smooth. In a separate bowl, whisk together the vanilla, melted butter/peanut butter mix, liquid sweeteners and water. Toss the wet ingredients with the dry until the mixture is evenly crumbly. Spread in the prepared pan, pressing them in firmly to ensure they are molded to the shape of the pan. Cool the bars in their pan completely on a cooling rack. Cut with a serrated knife. Wrap each granola bar individually in plastic wrap and store in an airtight container.